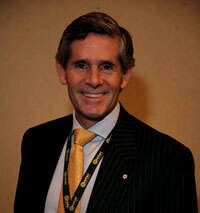 Stephen G. Roman CEO of Harte Gold Corporation (TSX: HRT) is being recognized during this year’s PDAC. Mr. Stephen Roman was awarded the honor of “Prospector of the Year” for 2016 and will receive the “Bill Dennis Award” from the Prospectors & Developers Association of Canada (PDAC). 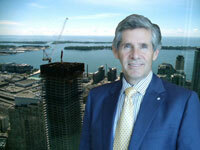 He has had a very successful career founding, exploring, developing and selling companies. Stan Bharti Founder of Forbes & Manhattan (a private merchant bank headquartered in Toronto) and his exceptional team have had outstanding accomplishments and return on their investments in the last ten years. Stan Bharti provides his analysis on the state of the marketing sector as well as his philosophy for growth. 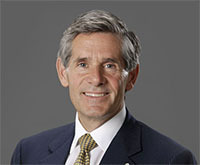 Rob McEwen, the Founder and former Chairman of Goldcorp and the Chairman and CEO of McEwen Mining (TSX: MAQ; NYSE: MUX), shared his views on the current condition of the markets and the future of McEwen Mining’s gold projects in Mexico, Argentina and Nevada. 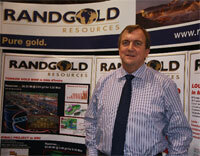 Mr. McEwen is one of the most knowledgeable authorities on gold and investment in precious metals mining stocks. The Plansee Group, a privately held high performance metals company, has been working to develop vertical competencies in the molybdenum and tungsten specialty markets. 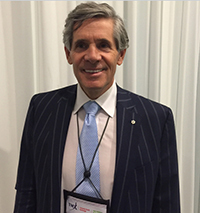 We met with Rob McEwen, founder of Goldcorp, and founder and CEO of McEwen Mining (TSX: MUX) during the PDAC Conference in Toronto. We talked about McEwen Mining and some of his other ventures on the forefront of medical science. 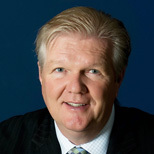 Harry Barr, President and CEO of Pacific North West Capital (PFN), is leading his company to develop a myriad of recent project acquisitions and long term exploration projects in proven geological areas of North America. 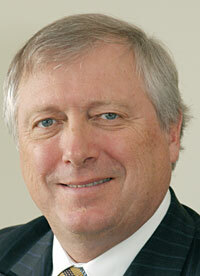 With his direct style and effective management model, Barr has an aggressive agenda for PFN (www.pfncapital.com). Agnico-Eagle - consistent player in the industry. Interview with Eberhard "Ebe" Scherkus, President and COO of Agnico-Eagle Mines Ltd. 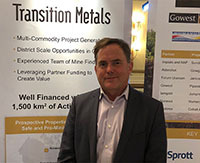 Rob McEwen, a leader in the mining industry, has shaped the current business climate for mining gold and silver in North America and beyond. 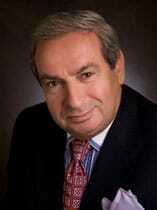 He is the founder and former chairman of Goldcorp, a senior producing gold company that calls itself the lowest cost, fasting growing gold company. 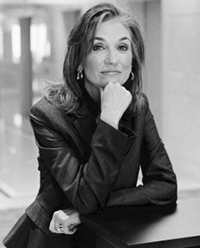 A leading private merchant bank that mainly manages junior resource companies to create shareholder value, Forbes & Manhattan has founded and managed many public and private enterprises. It employs geologists and mining engineers as well as financial professionals and lawyers so it can focus on the global resources sector. Stan Bharti a Modern Founder and Leader of Successful Emerging Diversified Companies. Stan knows when to invest and how to create wealth from emerging companies. We met with Rob McEwen at the 2004 New York Institutional Gold Conference as it was being held at the Marriott Marquis, a luxurious hotel in the center of Times Square. Is there any truth to the belief that what Rob McEwen touches turns to gold? At a MPIF Fall Management Conference in Puerto Rico, (from left to right) Richard Scheithauer, OSRAM Sylvania Products Inc., Pankaj Khare, Kennametal Inc. Michael Schwarzkopf and Egon Okorn, Schwarzkopf Technologies Corp.